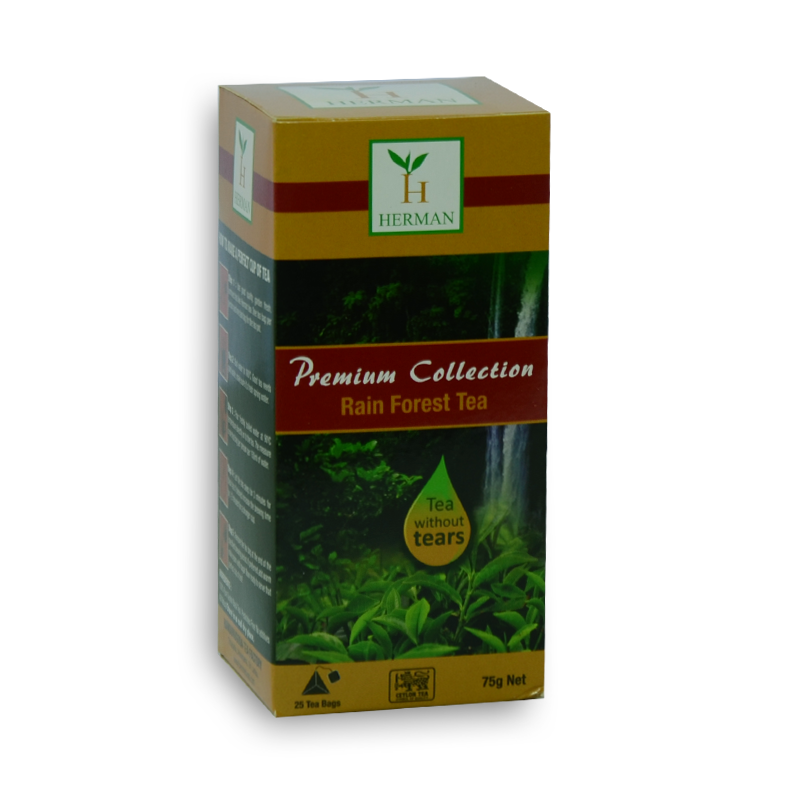 Hermans Rainforest Tea is a special type of tea grown in the foothills of the Sinharaja Rainforest. It's a conventional black tea with a very sweet and mellow liquor, an all-purpose tea and could be enjoyed throughout the day. Meticulously produced at the only Tea estate in the world situated in close proximity to the ocean, and bordered by an evergreen rainforest which gives Herman’s Premium Collection its unique all natural flavour and signature taste. Herman teas do not contain genetically modified raw materials or ingredients derived from genetically modified raw materials. All our teas, herbal infusion’s and naturally flavoured teas do not include any glutenous ingredients. Our teas can be brewed for serving more than once.